Trekking and electric assist are the perfect marriage.  Haibike Trekking models represent long distance comfort with all the extras. In order to reduce the optical 'weight' of the bike, we are integrating the Bosch battery slightly in the lower tube. With a combination of hydroforming tubes and Special casting components, we are including the battery optically in the frame and thus can save the common, tolerance-afflicted welding of the mounting areas. Furthermore, this solution reduces the distance between motor and battery by 11mm.